Douglas J. Good | Ruskin Moscou Faltischek, P.C. Does Bankruptcy Discharge Sexual Harassment Debts? Restrictive Covenants – Enforceable Beyond A Written Agreement? Douglas Good has extensive experience in trial and appellate advocacy, as well as substantial experience in alternative dispute resolution. He has handled many cases involving restrictive covenants, unfair competition and theft of trade secrets in trial and appellate courts, as well as employment discrimination matters. 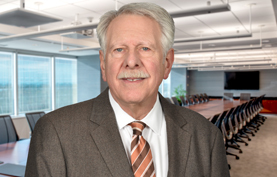 He has handled a diverse assortment of cases – again, both in trial and appellate courts – prominent among them are shareholder and partnership disputes, creditors’ rights matters (including defense of lender liability claims), health law, RICO, real property, and civil rights disputes, among others. Douglas is certified as a mediator in the Commercial Division of the Supreme Court of Nassau County, and leads the firm’s Mediation Services Group. A partner at Ruskin Moscou Faltischek, P.C., he is chairman emeritus of the firm’s Litigation Department and member of the Employment Law and Corporate Governance Practice Groups. He also serves as the firm’s General Counsel, with responsibility for all legal and compliance issues encountered by the firm. He chairs the firm’s Practice Management Committee, which, among other things, deals with ethical issues and conflicts of interest. Douglas is a past president of the Nassau County Bar Association, a fellow of the American Bar Foundation and the New York Bar Foundation, as well as a member of the Federal Bar Council. He has served as a member of the House of Delegates of the New York State Bar Association, the State Bar’s Nominating Committee and the President’s Committee on Access to Justice. He continues to serve the State Bar as a member of the Committee on Standards of Attorney Conduct (COSAC). He is currently the Chair of the Nassau County Bar Association’s Judiciary Committee, which screens candidates for judicial office. He has lectured before the American, New York State and Nassau County Bar Associations on topics including professional ethics, corporate and not-for-profit governance and a variety of litigation topics, and has been published in various legal and business journals. He has served as chairperson of the Board of Directors of Nassau/Suffolk Law Services Committee, Inc. for many years. While at the firm, he has been an assistant adjunct professor at the New York University Institute of Paralegal Studies. Prior to joining Ruskin Moscou Faltischek, P.C., Douglas was the executive director of the Legal Aid Society of Rockland County, Inc.